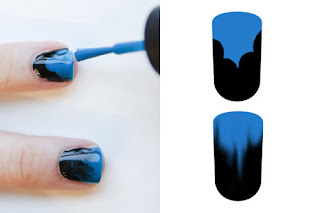 Prepare two colours : black and blue nail polish. (shown above). 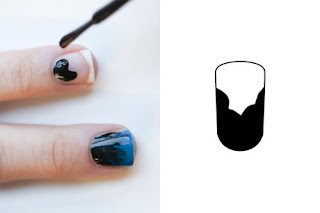 Apply black nail polish on the bottom of your nail with U shaped. This layer of nail polish is thick and a little more. 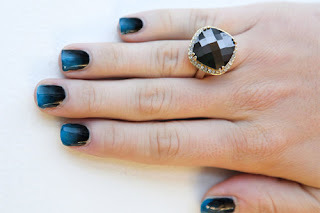 Apply green nail polish on the top of your nail. Swirl the two colour toghether, where they meet. The area where they mix will be creat a gradient effect. 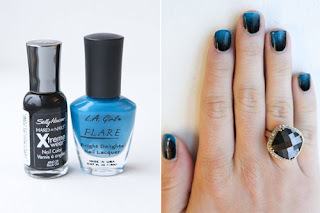 Wait until all layers of nail polish have dried before applying your top coat. Otherwise, you may end up smearing the polish. Style 2: lovely dots nail style. 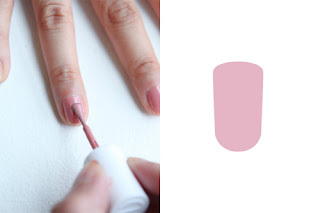 What you need: White and pink nail polish. 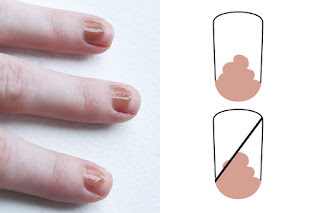 Apply one or two coats of pink nail polish over the entire nail. 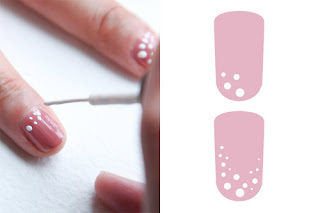 Use a small brush to make the white dots are scattered around the nails with different sizes. All finish. Look very lovely. 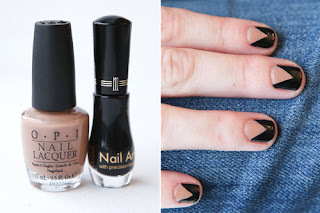 Style 3: Victory nail style. 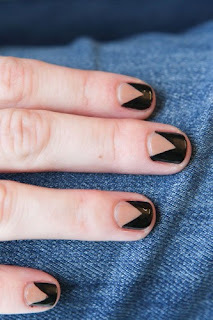 Use black nail polish (the small brush) to draw two diagonal lines. Then the black paint on the side. 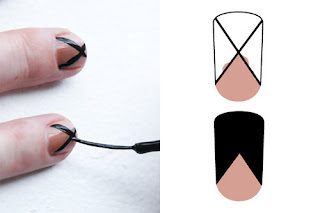 You have completed three nail style. Wish you success.